IDW Publishing will launch a second ongoing comic series based on Nickelodeon’s Teenage Mutant Ninja Turtles. IDW has been home to the Teenage Mutant Ninja Turtles comics since 2011 and the high demand for this iconic brand has now paved the way for a sister series entitled Teenage Mutant Ninja Turtles Universe this August. The creative team for the first arc will include writer Paul Allor joined by artist Damian Couceiro on a story centered around a dangerous new Teenage Mutant Ninja Turtles foe — the U.S. government! A back-up story will run alongside it from Teenage Mutant Ninja Turtles co-creator Kevin Eastman and comics legend Bill Sienkiewicz. Freddie E Williams II, fresh off the bestselling Batman/TMNT crossover mini-series with DC Comics, will supply regular cover art, with guest artists providing sought-after variants. 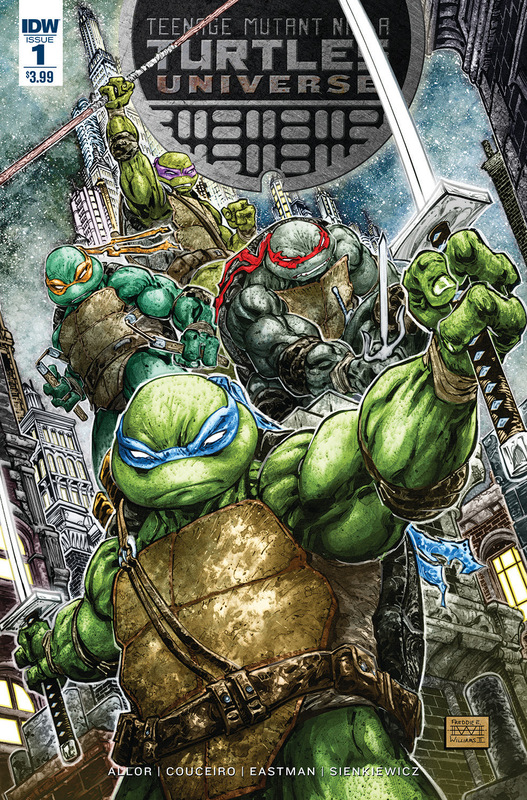 Look out for Teenage Mutant Ninja Turtles Universe this August at your local comic shop.